The Tanzanian Children’s Fund is seeking a native English speaker with at least one to two years of ESOL/ESL/ELL experience to work for the Rift Valley Children’s Village in rural Tanzania. Our ESOL Teacher / Teacher Trainer will work alongside RVCV’s Education Director at Oldeani Secondary School to improve the English competency of students as well as equip teachers with the skills and knowledge to be high quality teachers in English. Founded by India Howell in 2004, RVCV operates in partnership with the Tanzanian Children’s Fund (TCF) and is a loving and permanent home to 97 children. RVCV is located in a remote and impoverished village in Karatu District, adjacent to the Ngorongoro Conservation Area. The goal of this position is to build teachers’ capacity to teach English in order to bring about greater learning outcomes for students, positioning them for future educational and professional success. • Advising RVCV volunteers on appropriate educational resources and activities for various age groups. 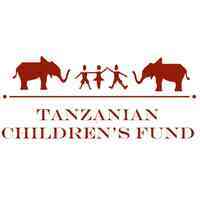 Why work with Tanzanian Children’s Fund? • Eat really delicious banana bread, watch the sun going down over the Ngorongoro crater, and have the opportunity to meet a wide range of visitors and volunteers from around the world. We are looking for an education expert with experience in school leadership and teaching to help lead the primary school we co-manage so it can become and remain a model institution. As our Primary School Education Director, you will be a member of our senior staff and act as the organization’s main contact for the primary school that we co-manage with the District Government, Gyetighi Primary School (GPS). You will take the lead in managing our contract, with the goal of making GPS one of the top schools in the region, and ultimately top performing schools in Tanzania. In this pursuit, you will fight to raise the standards of education, ensure that all students in our community have the opportunity for a first-rate primary education, and improve the school environment in order to attract the best teachers. The Primary School Education Director will work cohesively with the Tanzanian school leadership and teachers to establish a rapport with the faculty and identify the greatest needs of the school. Understanding that GPS is an impoverished, rural, government school, working in partnership with the Head Teacher, the Primary School Education Director will coordinate, facilitate, and/or create teacher trainings, curriculum supplementation, and administrative schedules to help address these issues and concerns. • Serve as a mentor to the faculty by modeling instruction and using a classroom observation system to provide constructive feedback about teacher instruction, classroom management, assessment, etc. • Evaluate current instruction methods and work in concert with the Head Teacher to introduce strategies that include teaching to multiple learning styles, incorporating creativity into daily lesson plans, encouraging independent thought from the students, etc. o Evaluate and develop school systems and procedures related to student and course schedules, teaching assignments, discipline, assessments, etc. o Plan and implement teacher appreciation events, end-of-semester closing ceremonies, graduation, Parent’s Day, etc. o Conduct interviews and selection process for annual selection of Student Teachers. For more information, visit www.tanzanianchildrensfund.org. Email [email protected] with any questions you may have!